It will soon be summer and I have a big decision to make. Where should I go for my first out-of-town summer getaway? For me, a favorite is Albert Lea, with their beautiful bike routes around Fountain Lake and the Blazing Star State Trail. I also learned that that this year on Saturday, July 14th there is a new ride called Rock n’ Roll the Lakes. I hear there will be a 10, 25 & 50 mile fun bike ride around the scenic lakes, along with food and music! Less than two-hours down Interstate 35, after passing passing the I-90 crossroad pull into Albert Lea and prepare for a weekend of outdoor fun. The town is also known by another name: The Land Between the Lakes. That’s because the city sits between Fountain Lake and Albert Lea Lake and both are prime destinations for soaking in the rays. 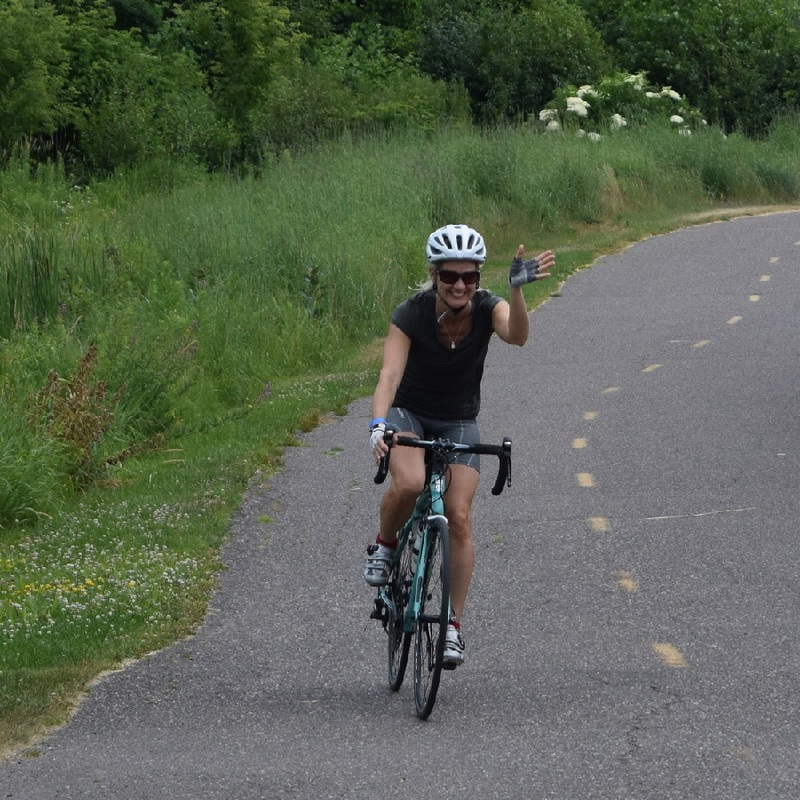 Getting around on your bike in Albert Lea is easy with city’s low traffic bike lanes and trails. After checking in at one of the hotels its exciting to ride around this southern Minnesota community. The homes along the lake route are very picturesque. 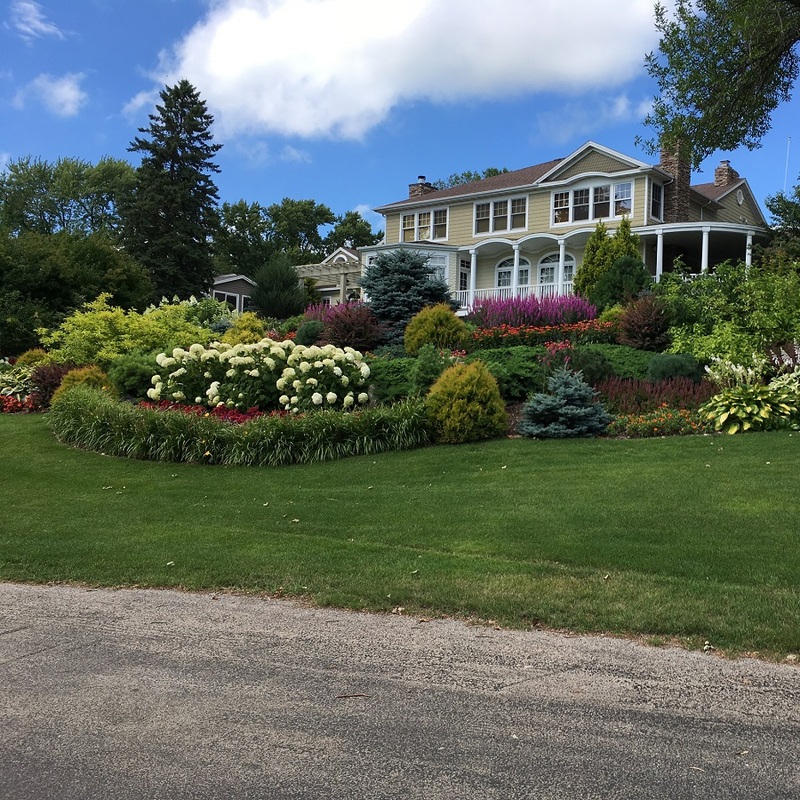 Touring around the Lake clockwise is recommended and the experience is always reminiscent of riding around Lake of the Isles, in Minneapolis. With beautiful landscaped lawns along the waters edge a ride around Fountain Lake is very picturesque. The popular route is about eight and a half miles around using a combination of trails and quite residential streets. After returning to the downtown area of Albert Lea, you will find many options for lunch before an afternoon ride out to the state park, just outside of town, on the paved trail. 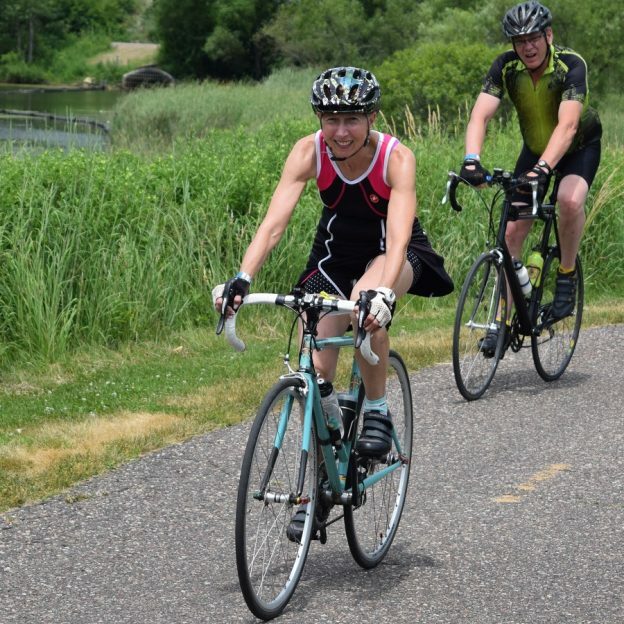 The Blazing Star State Trail offers over six miles riding from Albert Lea out through the State Park. Here in the park you will find both a mountain bike and a paved trail system for bicyclists to enjoy. For mountain bikers the park offers about seven miles of wide grass trails in a sequence of three separate loops, strung together alongside the State trail. The Blazing Star State Trail is paved and runs from Albert Lea Lake in Albert Lea out through Myre-Big Island State Park, approximately six miles. Throughout the park both trail systems wind through generally open prairie with some young wood land, especially nearer Lake Albert Lea. Nice rolling hills, make for a surprisingly good workout and the park is also known as an excellent birding spot. Exploring the area on bike is easy, too. You can use the roads to navigate around town and rural southern Minnesota. There’s even a dedicated bike lane to safely get you in and out of town. Be sure to watch for traffic as you will be sharing the road. The bike route around Albert Lea Lake is reminiscent of the Lake of the Isles. Want to take a trip on the water, but don’t own a boat? It’s okay, you can take a tour of Albert Lake on the Pelican Breeze. If you go on Fridays you can be part of their pizza cruise. When you need a break from the outdoors there’s plenty to keep your exciting adventure going. There’s locally owned shops, one-of-a-kind restaurants and the area history will top of your bike adventure. Check out more here. The best part about spending time here, it is all easy to get around using your bike as your main means of transportation. Maybe we will see you here for the Rock N’ Roll the Lakes Ride, check it out! 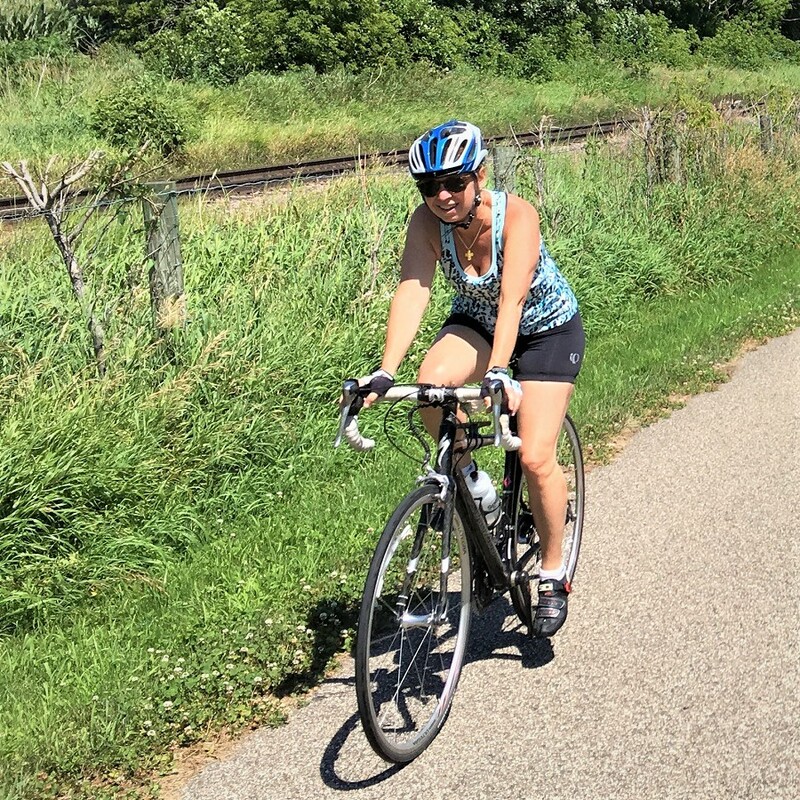 This entry was posted in News and tagged Albert lea bike map, Albert Lea MN, Bike Albert Lea, Blazing Star State Trail, Finger lake, Land between two lakes, Minnesota Bike Guide, Myre Big Island State Park, Pelican Breeze, Rock n' Roll the Lakes, rocknrollthelakes, Southern Minnesota on May 7, 2018 by Andrew Ellis.